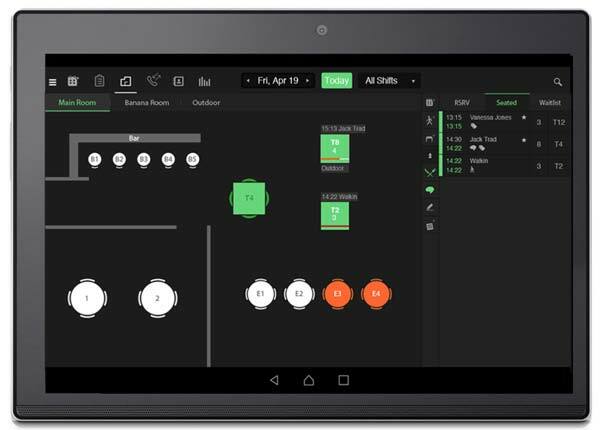 The all-in-one reservation, waitlist, and walk-in management platform built for operational excellence and yield management. Our robust tools ensure you are maximizing revenue per seat while offering the ultimate guest experience! Functionality and usability are essential to your business. Operating a dynamic seating platform that is both flexible and customizable for your agents helps your staff to maximize revenue per table based on the guest preferences and robust profile. 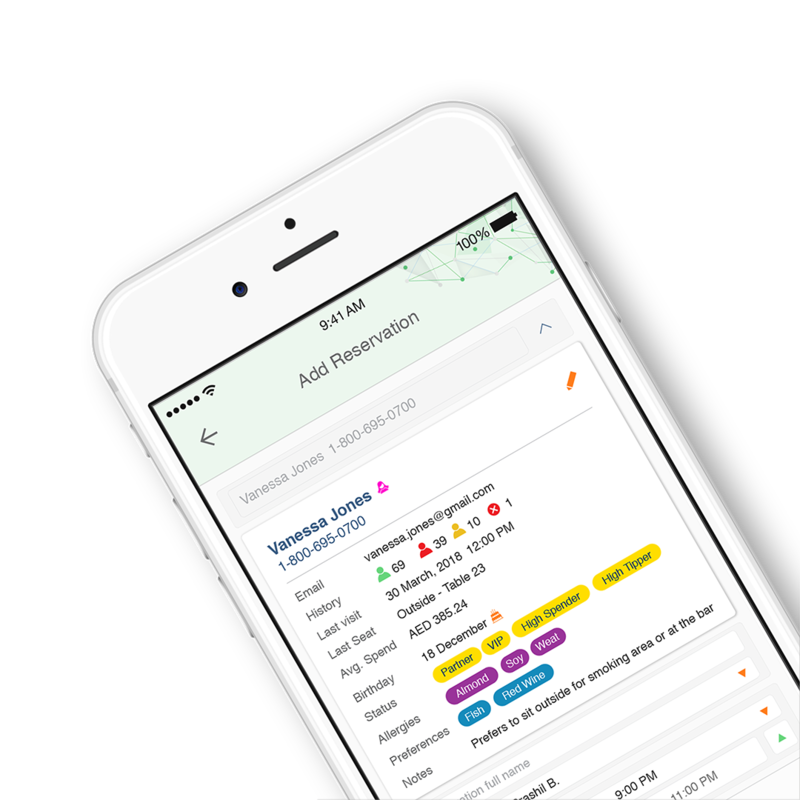 Our dynamic waitlist management tool allows you to prioritize reservations and walk-ins based upon capacity and profiles of guests in order to maximize revenue. Moreover, communicating with guests in real-time optimizes inventory and manages guest wait-time expectations! Directly integrated with the telephone and mobile networks ensures that your agents instantly view the profile of each guest before answering the call. 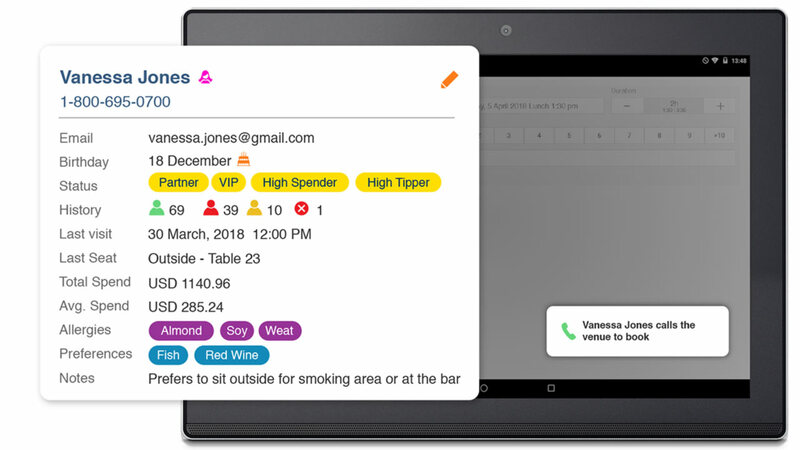 Visualizing guest details such as date of last visit, preferences, and spending habits allows your staff to personalize and enhance dining experience according to the guest’s profile. Don’t waste your time in merging and clean duplicate data. Our powerful and unique algorithm checks the validity of guest information and immediately identifies records without creating duplicate profiles. 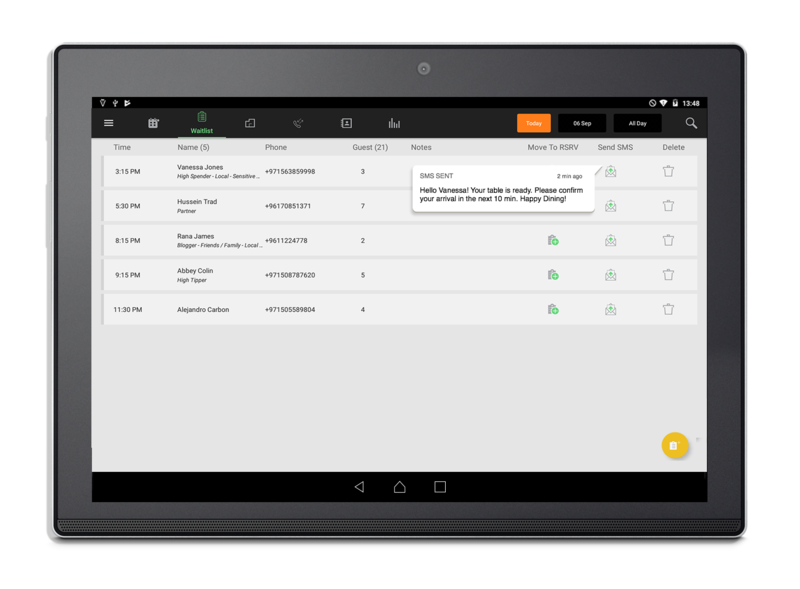 This allows agents to easily search, find, and create a guest’s name, number, or email without redundancies! Stay on top of your operations by accessing your daily reservations with a click of a button! One centralized database ensures that you can now inform your staff of any special guest requests or directly speak with your customers anywhere in the world.